Africa, how are you with the pain? 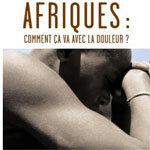 french films > Africa, how are you with the pain? Traversing the continent from the Cape of Good Hope to Alexandria, Depardon's beautiful, moving, revealing, and above all sincere cinematographic diary takes us through dozens of countries, landscapes and situations. To counter the journalistic temptation to reduce a situation to a single image, Depardon sets his camera down and, in long, uncut shots, looks around carefully, precisely.